(ABC News) - A Delta plane flying from Orlando to Atlanta lost part of its wing Sunday – but luckily, the flight landed without incident. 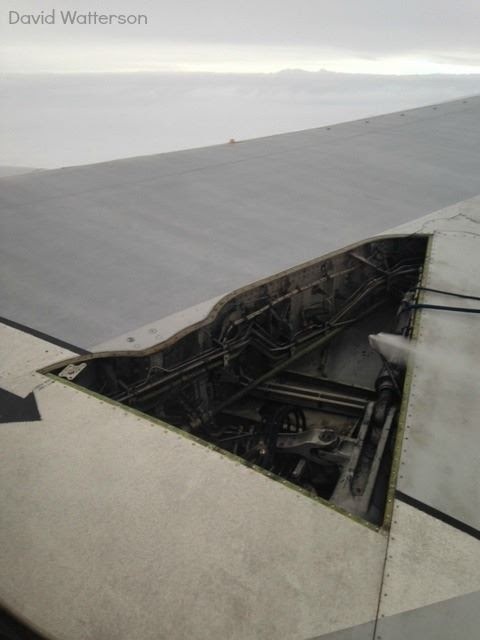 The panel came undone as Flight 2412 was in mid-air, leaving gears and wiring uncovered. As a precaution, the crew declared an emergency on approach, and the plane was towed to the gate after it landed, Delta spokesman Anthony Black told ABC News. No one was injured. David Watterson, a passenger on the flight, was dozing off when he says he heard a big boom. He noticed a section of the plane’s wing exposed and hydraulic fluid leaking. Watterson said the crew members handled the situation professionally. Officials are now inspecting the plane.